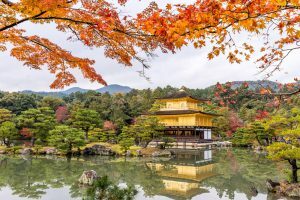 One of the best times to visit Japan is in Autumn, as the vivid turning colours of the foliage create picturesque scenery that is simply breathtaking. 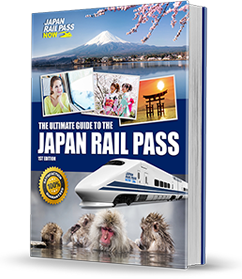 With a Japan Rail Pass, you can make the most of your autumnal trip to Japan by following the itinerary below. Narita Airport is connected to central Tokyo via two JR Lines, the Narita Express and the JR Sobu Line. Once you have exchanged your JR Pass voucher at a JR Ticket Office at the airport, you can reserve a seat on the Narita Express which will take you to Tokyo in less than an hour. 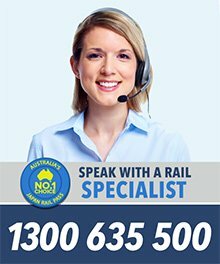 The JR Sobu Line trains, on the other hand, are slower and take about half an hour longer. 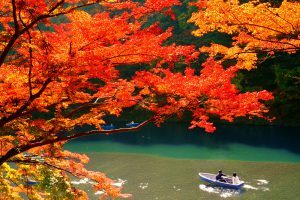 There are many autumn foliage viewing spots in Tokyo and nearby towns and cities. Rikugien – Considered by many to be one of the two most beautiful landscape gardens in Tokyo (the other being the Koishikawa Korakuen), Rikugien was constructed in the 18th century and has numerous walking trails, a central pond, man-made hills, and many, many trees.It is located a five-minute walk from the JR Komagome Station along the JR Yamanote Line. Koishikawa Korakuen – An Edo Period traditional Japanese landscape garden, Koishikawa Korakuen is great for strolling and picnics, with gorgeous miniature versions of Japanese and Chinese natural scenery of maple trees, ginkgo trees, plum trees, cherry trees, and more.Take the JR Chuo Line to Iidabashi Station and walk five to ten minutes to the entrance. Imperial Palace – The Imperial Palace grounds consist of several structures and buildings, including the official residence of the Japanese Imperial Family, and a large park that is home to a wide variety of plants and trees.From Tokyo Station, the palace is only a 10-minute walk away. Nikko – Nikko is an excellent destination to learn about Japanese history and experience nature. 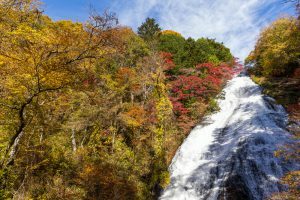 The region has numerous popular autumn foliage viewing spots, including Ryuzu Waterfall, Shoyoen Garden, Irohazaka Winding Road, Kegon Waterfall, and Lake Chuzenji.From Tokyo Station, take a Shinkansen to Utsunomiya Station and then transfer to the JR Nikko Line to Nikko Station. Kamakura – While best known for the Great Buddha, Kamakura also prides itself on its fantastic autumn foliage viewing spots, most particularly the Hasedera Temple, Shishimai Valley, Kakuonji Temple, and Genjiyama Park.There are two JR Lines that link central Tokyo to Kamakura: the JR Yokosuka Line, which links Tokyo Station and Kamakura Station; and the JR Shonan Shinjuku Line, which runs between Shinjuku Station and Kamakura Station. The one-way trip takes about an hour. Hakone is known for its scenic views of Mt Fuji, gorgeous forests and landscapes, and excellent quality hot springs. 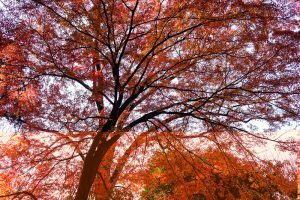 To enjoy the autumn foliage, you should visit the famous viewing spots around Lake Ashinoko, Hakone Museum of Art, Sengokuhara, and Hakone Ropeway. From Tokyo Station, hop on a Shinkansen to Odawara Station and then transfer to the Odakyu Railway Line. 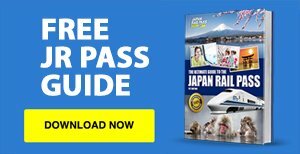 Only the Shinkansen journey is covered by your JR Pass, so you might want to consider purchasing a Hakone Free Pass (4,000 yen and valid for 2 days) to save on transportation costs. Arashiyama – Located in the outskirts, west of Kyoto, Arashiyama is known for its rural atmosphere and is surrounded by forests and mountains that look fantastic once the leaves change colour. Some of the best spots for autumn foliage viewing are the Togetsukyo Bridge, Tenryuji Temple, Jojjakoji Temple, and the Sagano Scenic Railway.From Kyoto Station, take the JR Sagano/Sanin Line to Saga-Arashiyama Station. Yoshiminedera – A Buddhist temple sitting on the mountains of western Kyoto, Yoshiminedera was built around the early 11th century and covers a vast natural area where various tree species grow.To get there, take a JR Kyoto Line train to Mukomachi Station and then hop on Hankyu Bus number 66 (not covered by the JR Pass, one-way ticket costs 350 yen). Eikando Temple – Eikano Temple is a large temple complex known for its beautiful autumn colours and magical evening illuminations during the season.A 35-minute ride on Kyoto City Bus number 5 (one-way ticket costs 230 yen) from Kyoto Station will take you there. Tofukuji – A Zen temple founded in the early 13th century, Tofukuji boasts of amazing autumn foliage views, particularly of the Tsutenkyo Bridge, which overlooks a dense forest of maple trees.Take the JR Nara Line from Kyoto Station and alight at Tofukuji Station. A 10-minute walk will take you to the temple. Kiyomizudera – Founded in the 8th century, Kiyomizudera is a UNESCO World Heritage Site and one of the most admired ancient Japanese temples. Its main hall has a wooden balcony that offers scenic views of the colourful maple and cherry tree leaves below.From Kyoto Station, take bus number 100 or 206 and alight at the Gojo-zaka stop or Kiyomizu-michi stop. The ride takes 15 minutes and costs 230 yen. For viewing spot options that are outside but not too far from Kyoto, you can go to Osaka or Kameoka. Minoo Park – Situated on the outskirts of Osaka, away from the hectic and busy metropolis, Minoo Park is located in a valley densely covered with forests of different tree species. It is a nature park that is home to a waterfall, a temple, old Japanese style buildings, hills, and numerous hiking trails.To get there from Kyoto Station, take the JR Kyoto Line to Osaka Station. Walk about 10 minutes to the Hankyu Omeda Station. Then (this part of the journey is no longer covered by the JR Pass) board a Hankyu Takarazuka Line train to Ishibashi Station, where you need to transfer to the Hankyuu Linoo Line going to Minoo Station. Hozugawa River Boat Ride – The Hozugawa River Boat Ride is a two-hour sightseeing tour which departs from Kameoka in traditional, flat bottomed vessels. These are piloted down river by local boatmen, giving you a unique vantage point from which to appreciate the magnificent autumn colours.To reach Kameoka from Kyoto Station, take the JR Sagano Line to Kameoka Station. Then take a quick bus ride (one-way ticket costs 160 yen) to the boat tour departure point. To return to Tokyo, take a Shinkansen from Kyoto Station to Tokyo Station. The journey takes about two and a half hours and is fully covered by the JR Pass.